Even though the platform width fix was only supposed to take three to four weeks, it looks like the new South Ferry subway terminal won’t be opening any time soon, since the MTA spokesman can’t give an opening date at this time. This comes after it didn’t open in January 2009 or December 2008, which were two previously announced opening dates. 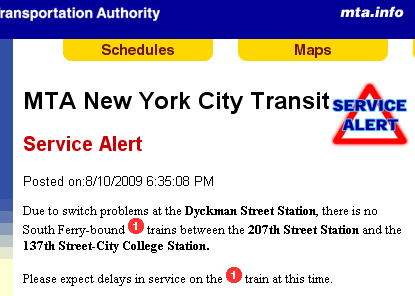 When will the new South Ferry on the (1) open for service? 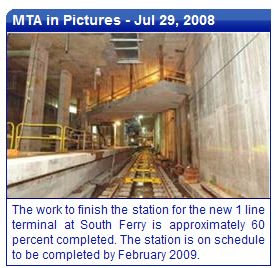 The MTA website today says that the new terminal for the West Side IRT at South Ferry in on schedule to be completed by February 2009. However, the terminal may open for service earlier than that. NYCT may be able to begin running in-service trains into the terminal before it is 100% complete. Of course, the terminal could also open sometime after February 2009. 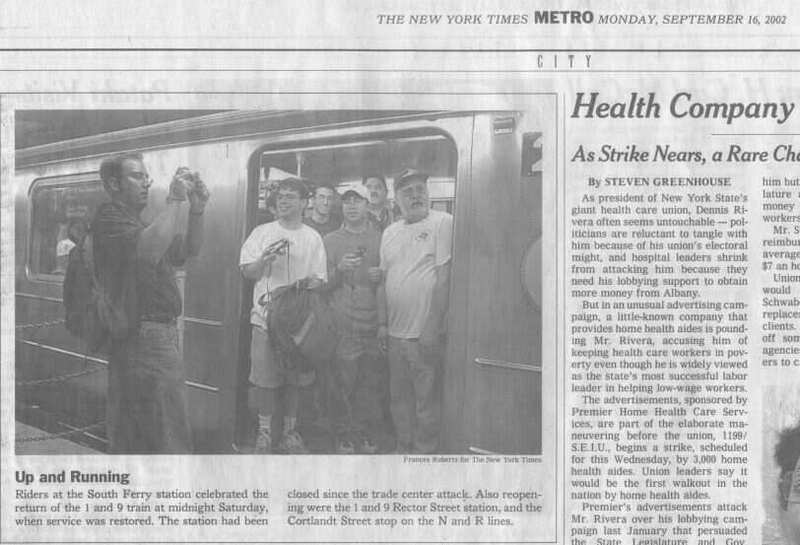 As far as fans of the current South Ferry loop care, the opening of the new terminal can be – never.